For the first time a research team has succeeded in documenting how the immune system can counteract the advancement of Alzheimer's disease. And fourth, the study results were reported in the Journal of Neuroscience which adds real credibility to the research itself. "In future we hope to be able to systematically introduce specialized scavenger cells to the brain and thus speed up the reduction of Alzheimer's disease deposits." For the first time a research team at Charité – Universitätsmedizin Berlin and Universitätsklinik Freiburg succeeded in documenting how the immune system can counteract the advancement of Alzheimer's disease. Within the scope of their neuroscience paper they showed that certain scavenger cells in the immune system, so-called macrophages, play a key role in this context. Furthermore, they were able to demonstrate how special cell-signaling proteins, so-called chemokines, mediate the defense process. The results of the study have now been published in the renowned Journal of Neuroscience. 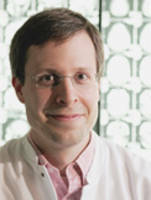 Prof. Josef Priller, Director of Neuropsychiatry at Campus Charité Mitte, is head of the research team. The paper was sponsored by the German Federal Ministry of Education and Research ('BMBF') and the German Research Foundation ('DFG'). For ten years now the scientists have been investigating the exact role of macrophages in neurodegenerative diseases. "Macrophages can reduce harmful deposits in the brain that are the cause of Alzheimer's disease," Prof. Priller explains. In an animal model the research team was now able to show which certain subset of macrophages is responsible for reduction of the deposits. Contrary to earlier academic opinion, this defense reaction cannot be handled by the immune cells of the brain, the microglia, because they themselves are damaged by the pathological process. Instead, specialized bone marrow-derived macrophages are activated and directed into the brain to remove the toxic deposits. The carrier cells receive the command to specialize and infiltrate the brain in the form of certain cell-signaling proteins. The researchers managed to identify a specific chemokine for the first time. This results in a completely new treatment approach for Alzheimer's disease. "In future we hope to be able to systematically introduce specialized scavenger cells to the brain and thus speed up the reduction of Alzheimer's disease deposits," says Prof. Priller. The researchers are confident that they have found the approach for a cell-based therapy with relatively few side effects.